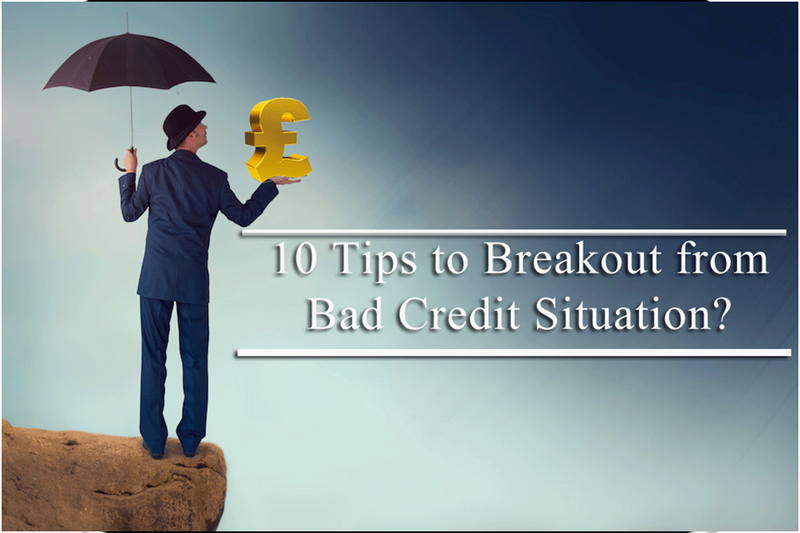 10 Tips to Breakout from Bad Credit Situation? Homenews10 Tips to Breakout from Bad Credit Situation? Life is an art in itself. From daily routine to big goals of life, whatever you do needs a mix of experience and skills. From career to personal life to organizing a vacation, you do everything and with utmost possible perfection. Not to mention, flaws and imperfections exist in this very same world and despite extreme efforts, mistakes and imbalance happen. You know very well how everything in life relates to the money factor. With the proud of living in a modern world, one also has to accept the dominating importance of currency. There is around the clock rush to earn more as every dream and desire relies on money. However, you also need to know how to manage it. Wherever the grip loses control on finances, the baggage of obligations become heavy, which can cause pending financial commitments. Then the very known intruder ‘bad credit situation’ comes in your life. A missed repayment, default in a loan, pending obligations, anything can make it happen. Its mere presence is sufficient to keep you devoid of ‘any to every’ good financial opportunity. A credit card is an impossible thing; do not even think about a home loan when even a short-term loan is unachievable. Thanks to your bad credit. Every passing day in poor credit situation intensifies the maze of unfavorable consequences. Don’t worry! Where there’s a will there’s a way. Where there’s a problem there’s a solution. To get back the normal life, it is important to work on the improvement of credit rating. With the help of certain ways, you can do that. All of the ways are practical and can make you stand strong again to qualify for the best financial opportunities. Financial life is all about discipline. If there are any obligations, pay them on time. For that, you need to have adequate money, which calls the need to draw a clear line between need and greed. Do not spend money from a monthly budget on luxury things. For a while, you need to live a simple life, this does not mean a monk-like life but a routine with control over unnecessary things. Did you remember the idiom, ‘The Best Things in Life Are Free’ You do not need to spend money always to feel special. A conversation under the starry night is a bigger luxury than eating expensive food in a restaurant. Expensive amusement parks, costly shopping, all should be at rest for some days. Every month, take out the money for the obligations from income, and whatever remains behind can be used to pamper yourself. However, a better idea is to save extra money. Credit file has all the information about your financial behavior. Any wrong information can hugely and negatively affect your credit score status. Check your credit report; you can do that on a free trial basis. Paid options are also available that take a small fee amount. 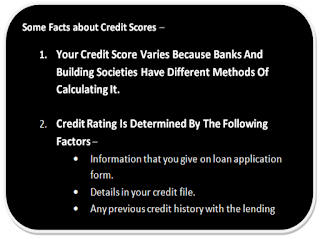 Every information on the credit file should be correct. If there is anything wrong get it rectified or removed. Do this on a monthly basis, it is a good practice to keep an eye on the reflection of your financial behavior that the world sees. Did you know that even a wrong address can do big loss to your credit rating? Every single information has its importance and it should be in its accurate form. Electoral roll tells a lot about you. Identity, address and with whom you live. This is the first thing that lenders and credit reference agencies check. Having the name registered here can help establish a good image in the eyes of the finance companies. Living on the same address or staying in the same job for long is also a good thing. This shows the stability in personal and professional life. Most of the people are unaware of the fact that the money matters of their financial partner affect their own finances. Were you aware of this? A loan in which you are the co-applicant with your wife can cause degrade in your credit rating in case of delayed or missed repayment. If the partner already has a bad credit rating, it is sure to show the effect on your finances too. If possible then quit from all mutual financial associations. However, this case is vice-versa. Just as the impact of poor finances of financial partner(s) shows on your finances, their good things to help improve your financial records. When they pay timely installments, your credit rating improves. However, there is a drawback too. In the above-mentioned case of a joint loan, your eligibility for the desired loan reduces as the taken loan shows on your credit file too. This is irrespective of the fact that you are not the main applicant. Credit cards are a vital part of the ‘paperless money’ economies. At the same time, they are a form of obligation. Do you pay the least required amount for any credit card? If yes, then stop doing that and pay more than the minimum amount. Paying the least installment makes the finance companies think that you are struggling hard in finances. This can make the reject an approval request on a loan or a new credit card. This is a specialized financial product that aims to assist people to improve credit rating. It comes with less credit limit and higher interest rates. Use it and repay the installments on time and then comes a good boost in your credit ratings. But the prime precaution related to this is on repayment capacity. Never take the decision off-hand and opt for this option only if you are confident that you can repay the installments on time. Just remember that there is no more scope for missed repayments as the credit ratings are already quite low. In case you find the credit card builder expensive then online bad credit loans can also work as the option. These are the specialized loan products that aim to help people improve credit ratings. They come with varied offers on rate quote and loan tenure. For instance, the bad credit 12 month loans are among the available choices. But if you want to take 12-month loans, it is necessary to know about their features. These are short-term loans with no obligation quote. The interest rates are little high but customization helps to get the loan on discounted rates. This makes the repayments easy. The game is simple, borrow funds, repay on time and achieve a better level in credit rating. In case you apply for a bad credit loan then do not send multiple applications to varied lenders at the same time. All lenders do the credit check and that leaves a search footprint on your credit file. This shows you credit hungry and the lenders hesitate to lend money. In fact, it is a kind of rule that not only bad credit people but also good credit people should follow. Most of the borrowers make multiple applications as they think this enhances their chances of approval and also options. They can finally pick the lender that gives the best rates and repayment plans. But this is not smart thinking, in fact, an uninformed decision. Any kind of financial commitment to your name affects the financial records, whether you use it or not. Just like home, financial life too sometimes gets cluttered with unused things. It is good to get rid of them. As the unused things consume space unnecessarily. Similarly, unused financial commitments consume credit scores. Close the credit cards, store cards, mobile contracts, etc. if they are not in use anymore. It brings a rise in the credit rating and also creditworthiness as now there is less number of financial pledges on your name. Every time you miss a repayment, the late fee and interest rates add making the future installments heavy. When already situations are critical due to bad credit, it is not healthy to miss the repayments. Whatever obligation you have, pay it on time. Missed repayments, default, are like financial suicide. Do efforts and repay on time even if it includes compromising on weekend parties or shopping. They are not as important as your financial stability. Leave no nook and cranny of possibilities to get rid of bad credit score. It is a destructive thing that should not stay in finances and if it comes, an urgent escape should be planned. Life is good only when it is in your control. Humans are the initiators of amazing things in the world; they have the habit to rule. Why let any wrong thing take the kingdom? Financial problems look for the loopholes to intrude. Discipline yourself, use money wisely, make smart financial decisions and live a ‘no regret’ life. 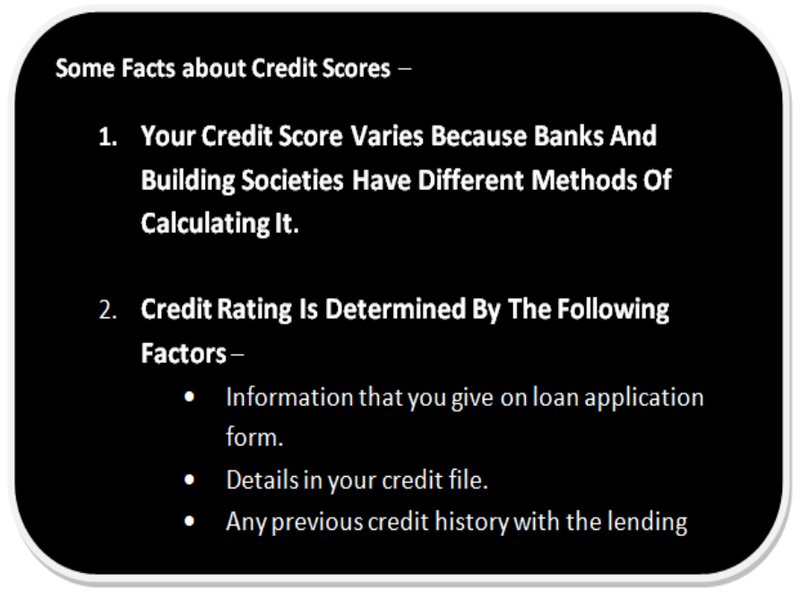 Description – Learn about the ways that help in the improvement of credit rating. Use them according to your personal circumstances and get the desired result of better credit score performance.